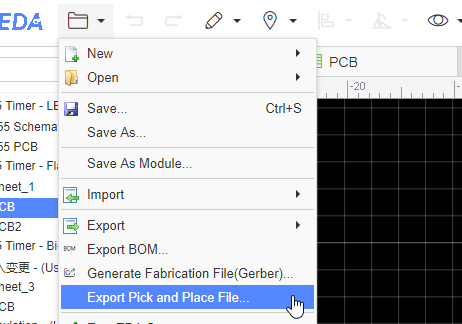 This file support two units “mm” and “mil”, it is following the PCB unit setting. In order to support multiple languages, BOM and coordinate files (CSV file) are UNICODE encoded and tab-based. If the CSV file cannot be read by your components vendor or PCB manufacturer, please convert the encoding and change the delimiter. Recommended solution: Save as a new CSV file in Excel or WPS. For example, open a CSV file in Excel, click or select: Save As - Other Formats - CSV (Comma Separated) (*.csv). You can also open the CSV file with any text editor (such as Windows Notepad) and save as ANSI or UTF-8 encoding. If necessary, replace all tabs with commas.